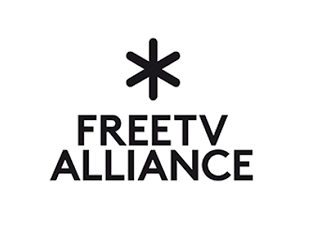 The FreeTV Alliance, the broadcast industry association founded last year by four leading European satellite operators – Fransat (France), Freesat (UK), HD PLUS (Germany), and Tivùsat (Italy) – has announced the availability of the first of its new suite of technical specifications. The release of a Remote Control Specification will provide a common way for an operator’s mobile app to control what the FreeTV Alliance calls "the TV viewing experience on the TV screen". The release is in-line with one of the Alliance’s stated objectives to provide a common set of technical specifications for the television industry based on open standards. The FreeTV Alliance will develop test suites to support this and future common specifications, which will aid manufacturers implementing the standards. Certification of devices will be managed initially on an operator-by-operator basis. Remote control specification – provides a common way in which an operator mobile application can control the TV viewing experience on television devices. Remote record specification – provides a common way that a PVR capable television device can work with an Internet based remote record service. Common device certificate scheme – will enable manufacturers to manage a single set of device identify certificates across multiple operators. DRM Framework for SAT>IP – will enhanced the SAT>IP standard to support the conversion from broadcast CA to DRM for secure in-home content distribution. Operator application management specification – will define an applications life cycle and required APIs for HTML based operator applications and portals for television devices. The free tv Alliance. I thought HD plus Germany is a paid platform that is encrypted and you cannot get it unless you pay.